It has been a sensational week for the campaign to take Britain out of the European Union. After months of trailing Remain in the majority opinion polls, the Leave campaign has performed a stunning turn-around. It started on Monday when three polls published within the space of just four hours all indicated leads for Leave. It became clear at this moment that a very real shift in public opinion was taking place. Since then, surveys produced by Survation, Ipsos MORI, and BMG have all given leads to Leave. It is the stuff of dreams for Brexiteers and that of nightmares for David Cameron and co. 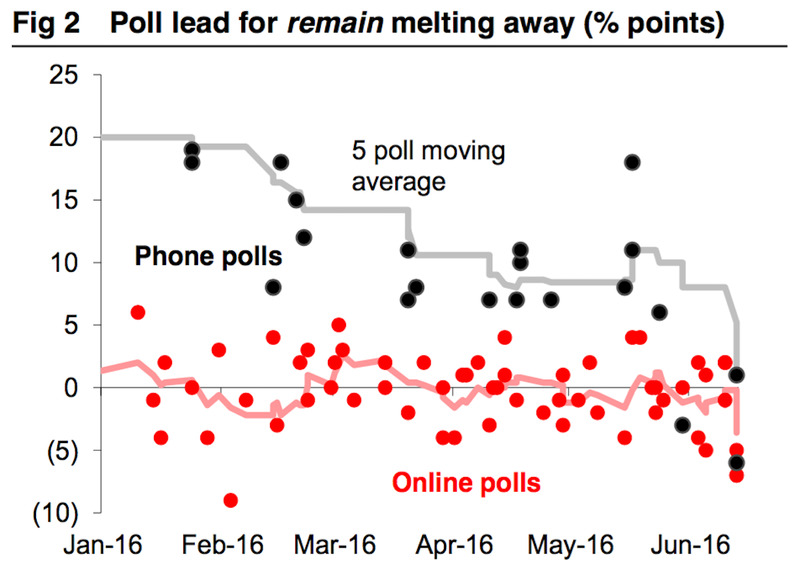 The chart below, produced by Macquarie Research, illustrates how Remain’s winning margin has totally crumbled since May. Support for Leave, on the other hand, has steadily and consistently grown. Of course, opinion polling is not a perfect science. Business Insider has highlighted this in the past. But it remains the only available insight into how the British public is feeling about the opportunity to pull the country out of the 28-nation bloc. 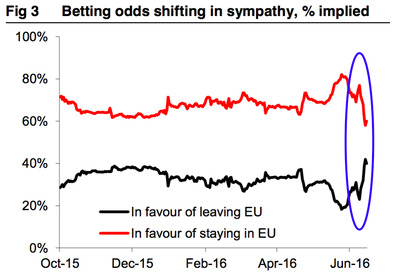 That is why the recent pro-Brexit trend has had such a clear impact on the EU referendum betting markets. 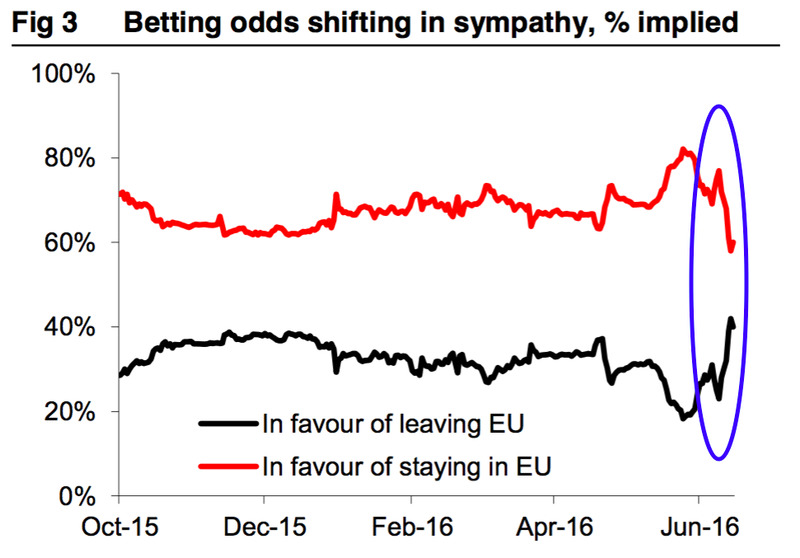 Up until recently, Britain’s biggest bookmakers were offering odds as low as 20% of the country voting to leave the EU on June 23. This week the probability of a Brexit has spiked. 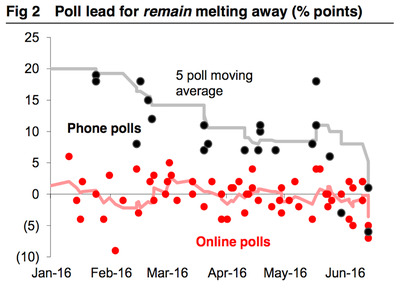 Business Insider has annotated Macquarie Research’s chart to emphasise this spike. The blue oval shows how the chances of a Brexit taking place are the highest they have ever been, according to Betfair data.